As Alaskans, we know how to make the most of the great outdoors. But what about the untapped landscape right in our own backyards? Outdoor rooms can extend your home's livable space, blending function with aesthetics. "We have a unique opportunity to live in Alaska and we all know the best way to experience it is by getting out," explains Corey Mason, landscape architect at Faltz Landscaping & Nursery. "The well designed outdoor 'room' can allow similar experiences outside that many people experience inside." Regardless of size, your backyard can be easily transformed into a retreat for mom to relax, a turf for the kids to run wild, a kitchen spread for dad to grill, or a garden to simply lounge and enjoy the view. Local landscape experts can provide tips on exterior space planning to create visually interesting and inviting outdoor living spaces for your home away from home. 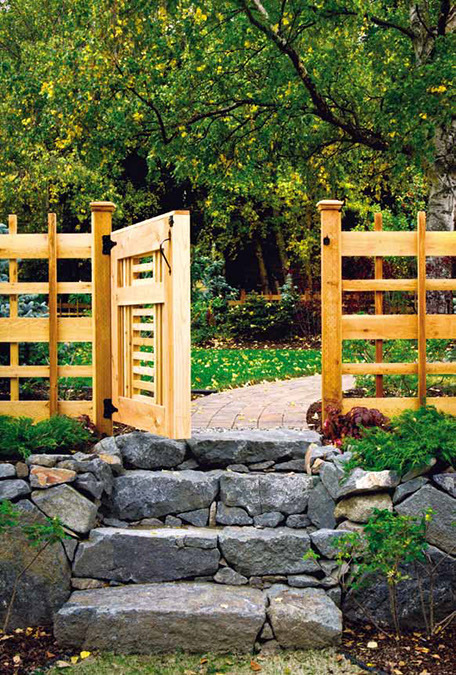 After all, "the outdoors are for more than just looking at – they are for living in," says Tania Krawchenko, landscape architect and owner of Inspiring Spaces Alaska. Run away from home with an outdoor oasis right in your backyard. "Having any retreat element that offers an opportunity to relax outdoors is like a mini vacation but less costly, and it can be used year-round," says Krawchenko. Heat up those chilly winter nights with a stroll to the sauna, or a dip in the hot tub. While not necessarily the most aesthetically leasing, they can be built into or surrounded by architectural features to blend seamlessly with the landscape. "Sometimes it is more appealing to install the hot tub flush on the deck so you can view the water and steam rising from deck level," suggests Krawchenko. If your idea of comfort is curling up with a good book, try creating an outdoor reading room. "In my opinion a reading room should be cozy and tight," Mason describes. "I can visualize such things as a nice chaise lounge or hammock tucked into a nook in the landscape." Take into consideration sunlight needs for afternoon or evening reading sessions. "The angle of the sun in the summer is critical for us in Alaska," Mason notes. "You want your room to take full advantage of the most sun you can get (southwest) but also provide a shady spot for the bright or warmer days." Children may be petite in stature, but their generous imaginations often require more space than adults. Setting aside a designated outside area for kids allows their adventurous spirit to roam freely – and safely – under the watchful eye of parents. "It is important to make sure there are clear sight lines from the house to the play areas so the adults looking after the kids can see them," explains Krawchenko. Generous flood lighting will also help parents keep an eye on kids late into the evening, while fences will keep stray soccer balls from going out of bounds and unwanted four-legged guests, like moose, a safe distance. 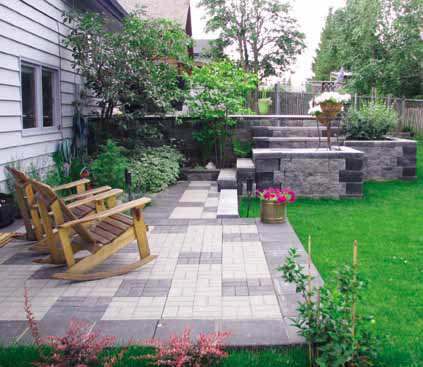 Consider the separation of spaces if you intend for your backyard to serve multiple functions. "The last thing you want is kids playing in the patio area where you are trying to prepare dinner," Mason adds. 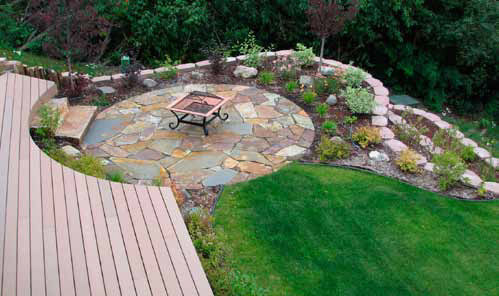 Try separating areas with patio or deck railings, or with more subtle contrasting "floor" textures. For example, your concrete patio may be designated an "adults only" area, while the kids have free reign over the patch of sand the playground rests on. If you're having trouble rounding up the family for an old-fashioned sit-down dinner, try taking them out to dinner instead by creating a cooking and dining area outside. "I think one of the most important benefits of an outdoor kitchen and grilling area," says Krawchenko, "is that I have seen it bring families together more." Most people already use the back porch for grilling, but innovations in outdoor kitchen designs take it a step further. 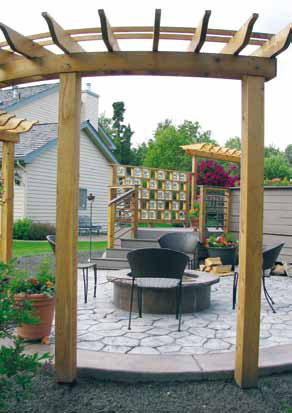 A concrete or brick patio or deck is an ideal foundation for a portable or permanent grill station, built-in bar and sink, refrigerator, and additional storage cabinetry. Don't limit cooking endeavors to the summer either. 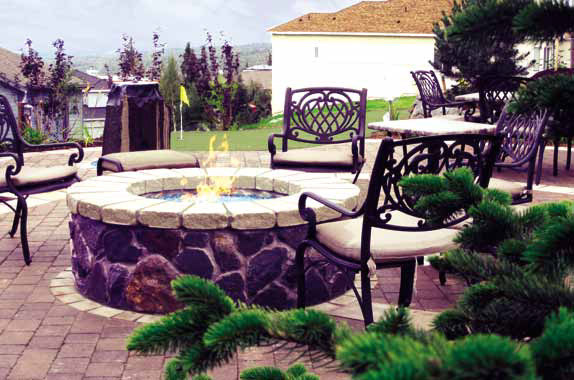 Cozy up to an outdoor fireplace or portable fire pit where you can roast hot dogs and marshmallows. An outdoor grilling area warrants additional placement considerations as well. "You'll want to be as close as reasonably possible to the kitchen," Mason adds, "since inevitably, you will be going back to the kitchen while you cook." Grills and fireplaces should also be adequately spaced from vinyl siding, which can melt under the heat. 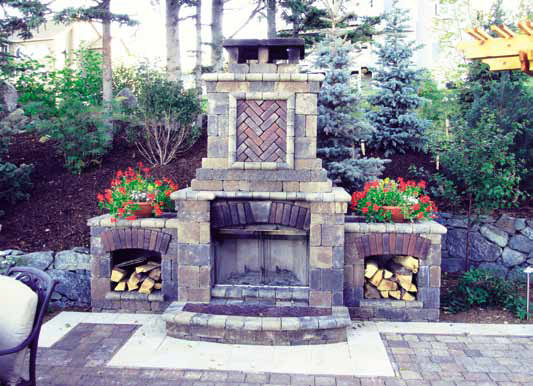 Liven up your outdoor space with a natural canvas of plants, trees, and flowers. "In combination with berry patches, an edible garden can be stunning and practical," says Krawchenko. "It is also visually appealing because of the color changes if you plant potatoes, tomatoes, onions, and garlic." Non-edible gardens offer great aesthetic value. "We are impacted by color and flowering plants provide this," continues Krawchenko. Lush foliage, hedges, and trees can provide a privacy and wind barrier, while fences can keep intruders from munching on your greenery. 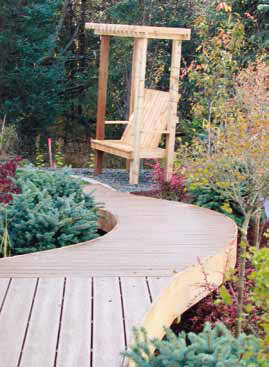 Enhance the livability of your serene setting by adding benches or lounge chairs for admiring the view. If you lack a green thumb, try your hand at a low-maintenance rock garden with water features incorporated. Rock ponds and waterfalls can add ambience to outdoor areas by creating – and attracting – the sights and sounds of nature. The soothing sound of a trickling pond also offers the perfect soundtrack for studying or reading.